The changes to Umbral Dash from earlier patches could also be reverted. Riot Games senior game designer Jeevun “Jag” Sidhu outlined potential changes today for Aatrox in League of Legends Patch 9.9. These changes are still just proposals for now and have yet to hit the game’s Public Beta Environment for additional testing. 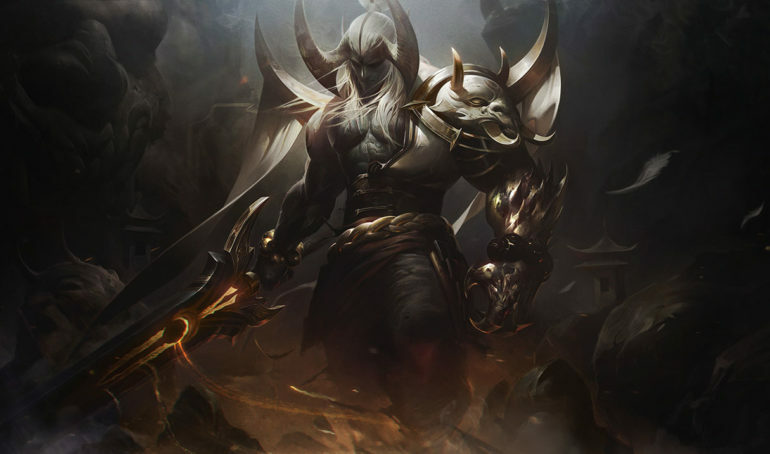 Many of these proposed changes to the Darkin Blade are aimed at reversing those implemented in earlier patches. In both Patches 9.2 and 9.3, Aatrox saw changes to his Umbral Dash (E). The recharge time on this ability increased in the first patch, and it lost its second charge in the second patch. In the list of proposed changes, Umbral Dash will hold two charges once more, and the cooldown between casts will be restored. Likewise, the recharge time is also set to decrease. Riot is also looking at altering the Darkin Blade’s ultimate ability, World Ender, to help mitigate his ability to tower dive and reduce his number of safe matchups. To do so, the balance team is looking at removing the guaranteed revive. Instead, Aatrox will only be able to revive if he gets a kill during World Ender’s duration. On top of this change to the ultimate’s revive mechanic, securing kills during the ultimate’s duration will extend it by five seconds, reset the cooldown on Aatrox’s the Darkin Blade (Q), and add one additional charge to Umbral Dash. The cast time will also decrease and include a one second fear while the revive’s slow and heal will both increase. If Riot decides to follow through with these changes, Aatrox’s updated abilities will then move to the League of Legends PBE for further testing.